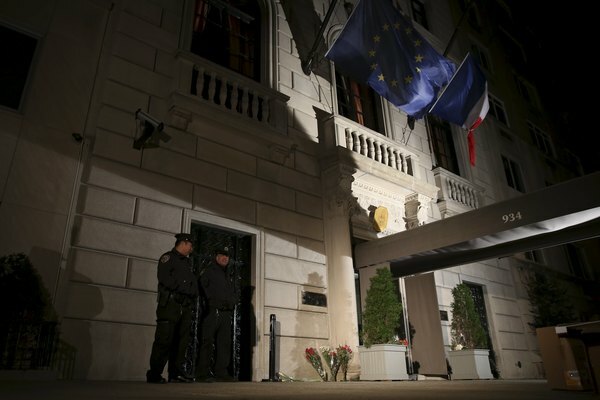 There are no specific or credible threats of an attack on the US of the type that occurred in Paris, US Department of Homeland Security Secretary Jeh Johnson has said. 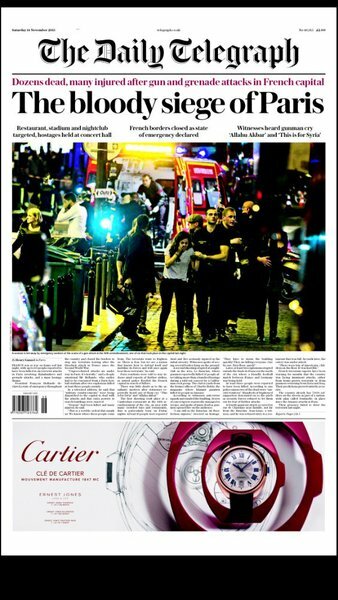 Johnson said in a statement after the attacks on Friday that the security agencies were closely monitoring the situation after more than 100 people were killed in a series of attacks in Paris, and the agencies are in contact with their counterparts in the region. 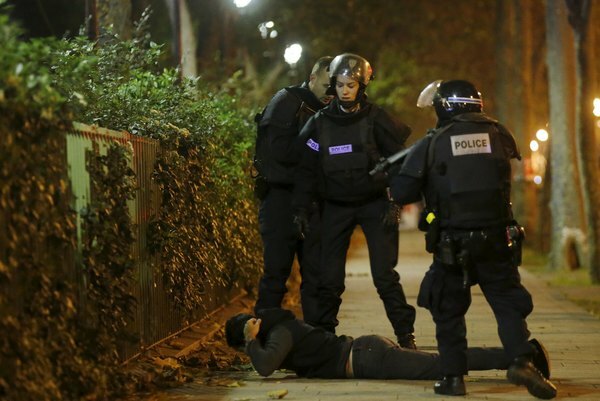 The state of emergency protocol that has been invoked by a late-night cabinet meeting in France allows authorities to close any public space or highway, hold people at home, and control published media. The state of emergency empowers security forces to "prohibit passage of vehicles or people," to set up "protection or security zones, where people's presence is regulated," and to exclude from a given area "any person seeking to obstruct, in any way, the actions of the public authorities." It also gives the interior minister the power to hold in their homes anyone "whose activity appears dangerous for public security and order." 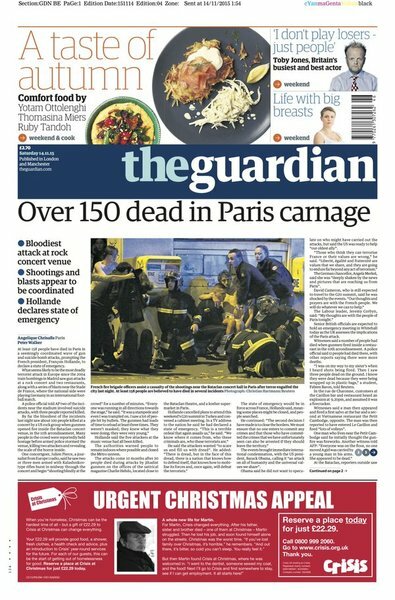 Four men who attacked a concert hall in Paris killing around 100 people were themselves killed when police stormed the building, including three who activated explosives belts, several sources have said. "Three of them blew themselves up and a fourth, who was also wearing a belt, was hit by police fire and blew up as he fell," one source said. 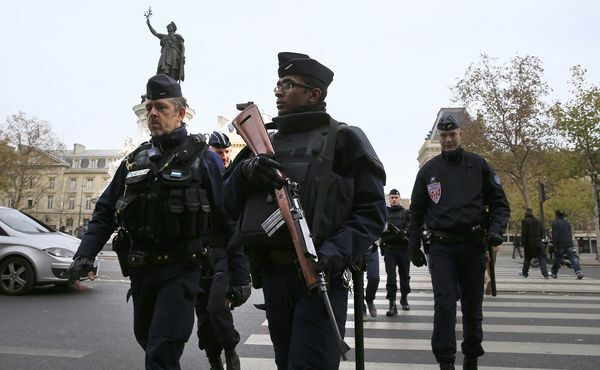 Paris police have said that they have cancelled all leave for an unprecedented mobilisation of their personnel. More than 6000 policemen and women have been mobilised to process eye-witness accounts from 2200 people. 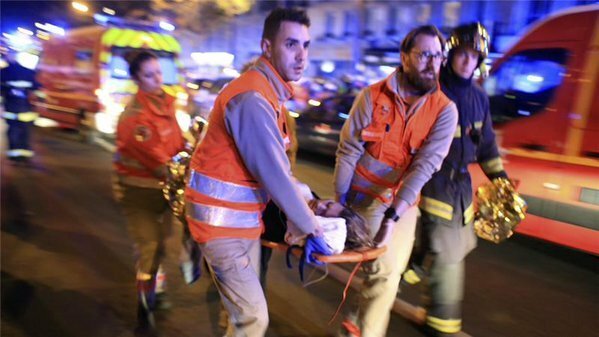 At least eight attackers have been confirmed dead following a series of attacks in Paris. Five of the attackers were suicide bombers. 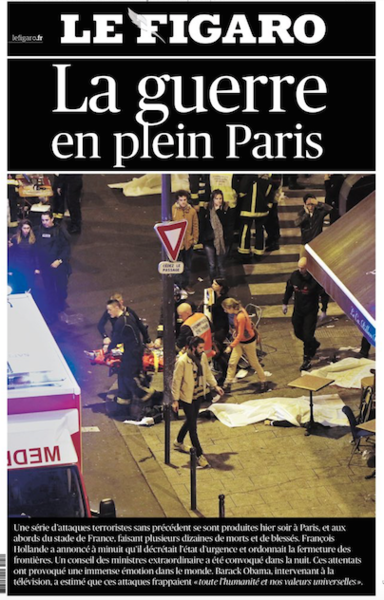 Reports also said that Paris has cancelled all public transportation including the Metro. James Woolsey, former director of the US Central Intelligence Agency, says attacks undercut the European Union's open border policy. "War in the middle of Paris." US Secretary of State condemns "Paris terrorist attacks". Says attacks "are an assault on humanity and freedom-loving people." The Vatican has condemned the killings in Paris as "mad terrorist violence" and called for a decisive response to counter the spread of "homicidal hatred." We've been speaking to Remi Piet, a French academic at Qatar University, about the impact the attack will have on President Hollande's Syria policy. The French position has always been that the first thing that should happen is for Bashar al-Assad to step down. I don't think anything will change. I think we'll see the kind of reaction we saw after Charlie Hebdo, a rallying behind the values that make up French identity but obviously no impact on foreign policy. We'll have the full article up for you shortly. 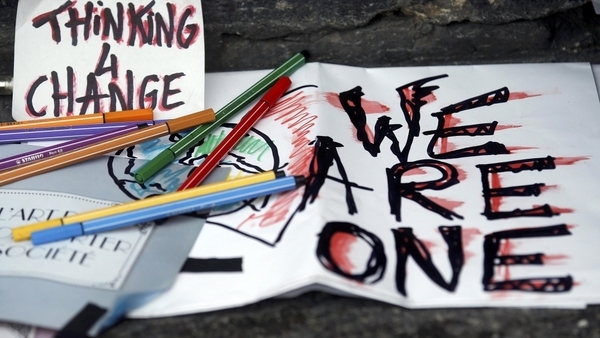 German Chancellor Angela Merkel has condemned the attacks in Paris, saying they are also "an attack on us all." 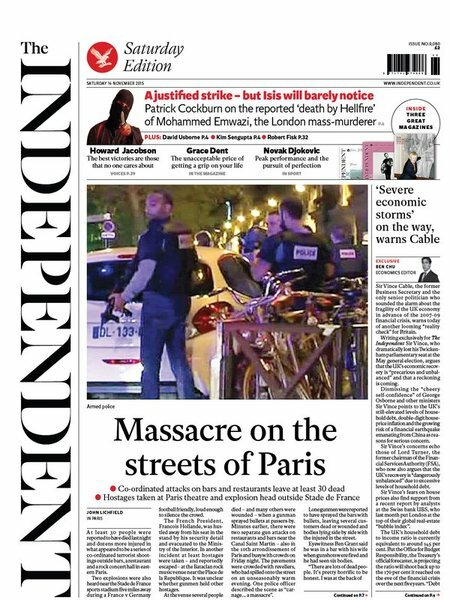 A series of attacks hit the French capital Paris on Friday, killing over a hundred people. 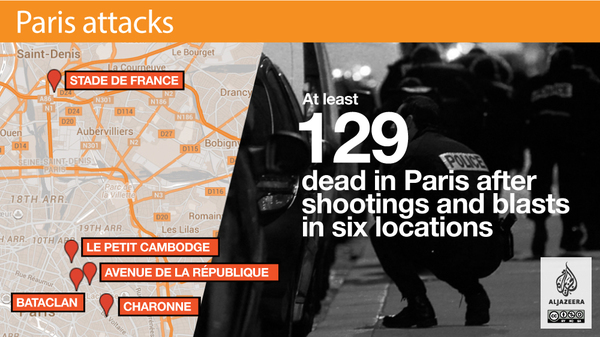 Here's a map showing where the attacks happened. 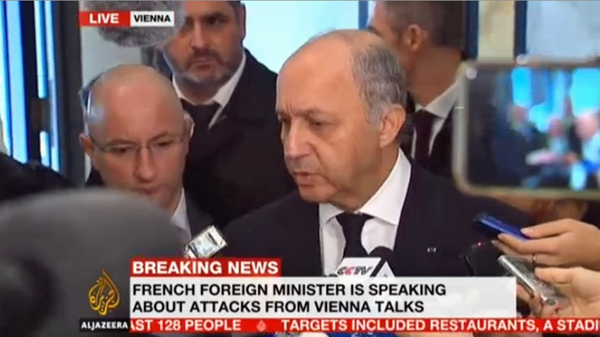 French President Laurent Fabius says Paris attacks show why it is necessary for countries to "coordinate fight against terrorism." President Francois Hollande tells nation "France will triumph over barbarity," a day after a series of attacks killed over a hundred people in Paris. 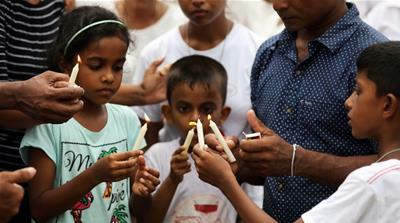 Declares three-day national mourning period. The Islamic State of Iraq and the Levant armed group has claimed responsibility for attacks that killed 128 people in Paris. The Netherlands will tighten security at its borders and airports following the attacks in Paris, according to the Dutch Prime Minister Mark Rutte. He added that the Dutch were "at war" with ISIL. 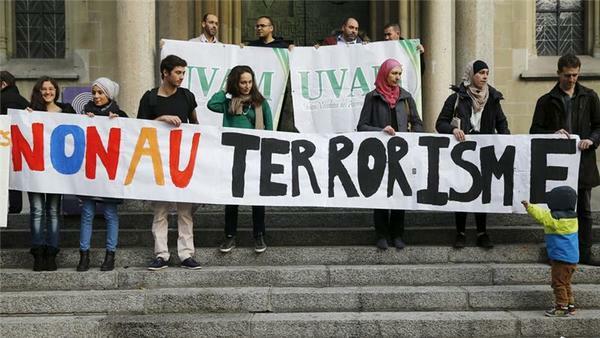 "Our values and our rule of law are stronger than their fanaticism," said Rutte. "ISIS is our enemy. We are at war with ISIS. We are not at war with a country, a belief or with Islam." Meanwhile, Belgian Prime Minister Charles Michel has asked Belgians not to travel to Paris unless necessary. Belgium has also imposed additional frontier controls on road, rail and air arrivals from France following the attacks that have killed at least 128 people. In the aftermath of a round of deadly attacks in Paris that have killed at least 128 people, Al Jazeera interviews a journalist based in the French capital. "Why is the war against terror not working... this is a real problem," said journalist Alain Gresh. 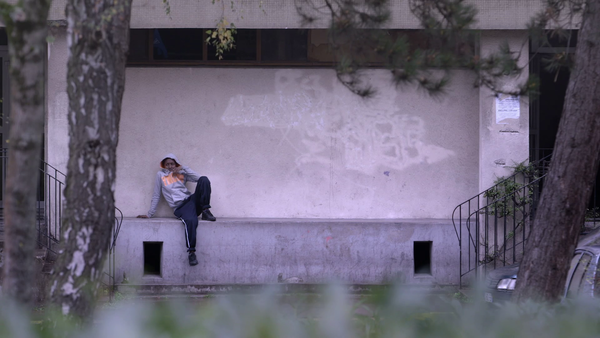 "They [the attackers] want to create a kind of civil war in France between the Muslims and the French." The Eiffel Tower has been closed indefinitely in the wake of Friday's attacks in Paris, according to its operating company. "The Eiffel Tower is currently closed. Thank you for your understanding." Disneyland Paris, meanwhile, will stay closed to visitors today [Saturday]. "In light of the recent tragic events in France and in support of our community and the victims of these horrendous attacks, Disneyland Paris has decided not to open its theme parks on Saturday 14 November," read a company statement. ISIL has claimed responsibility for a string of gun and bomb attacks across Paris that have killed at least 128 people and left more then 200 injured. 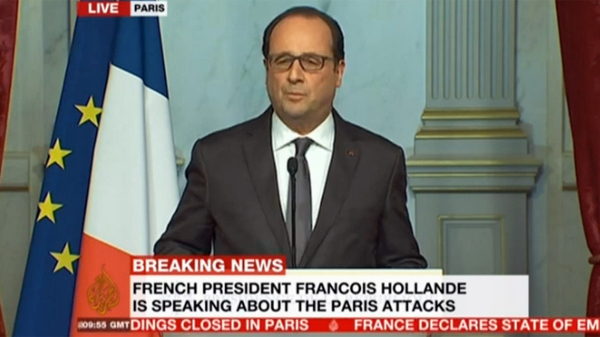 French President Francois Hollande has described the attacks in Paris as “an act of war". 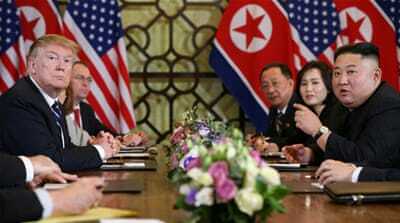 The attacks have also received condemnation from leaders around the world. According to French media reports, a French national is believed to be among four men who stormed the Bataclan concert hall on Friday night where 82 people were killed. Investigators found the body of a French national who was known to intelligence services and indicated he was likely one of four men who attacked the concert hall. The policies of some Western countries - including France - in the Middle East are partly responsible for the expansion of terrorism, according to Syrian President Bashar al-Assad. He urged French President Francois Hollande to change his policies and "work for the interest of the French people" before criticising Hollande for ignoring that some of his allies support "terrorists" in Syria. Assad added that three years ago, his country warned what would happen in Europe if the west continued to support "terrorists" in Syria. All major sports events in the Paris region have been suspended, according to French TV ITele, but French Football Federation confirmed that the national team's football friendly against England scheduled for Tuesday in London will go ahead as planned. 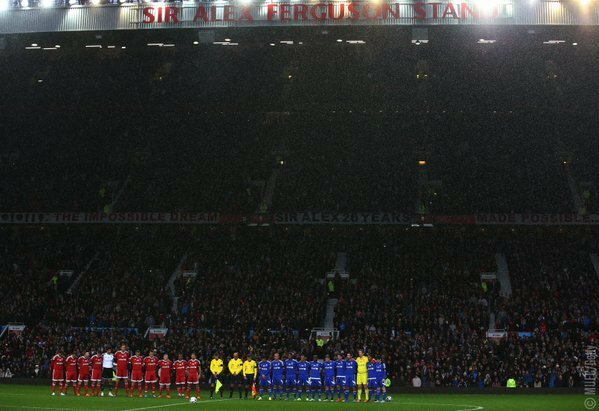 There has been a minute's silence ahead of a charity football match at Old Trafford where former French footballers Zinedine Zidane and Patrick Viera were withdrawn before kick-off. Senior figures from both Hamas and Islamic Jihad, two Palestinian groups, have condemned the attacks in Paris, Al Jazeera has confirmed. Bassem Naim, head of the Council of International Relations for Hamas, told the AFP news agency that the group condemned "the acts of aggression and barbarity", while Islamic Jihad denounced it as "a crime against innocent people". Belgian police on Saturday raided a neighbourhood of the capital Brussels in connection with the deadly attacks in Paris, public television RTBF reported. 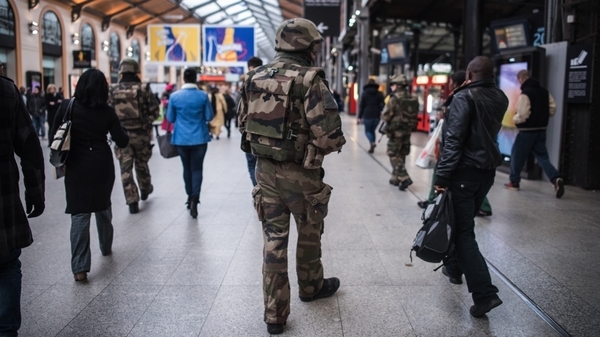 The network quoted an unidentified source as saying up to three raids were being carried out in the Molenbeek district in connection with the Paris attacks. 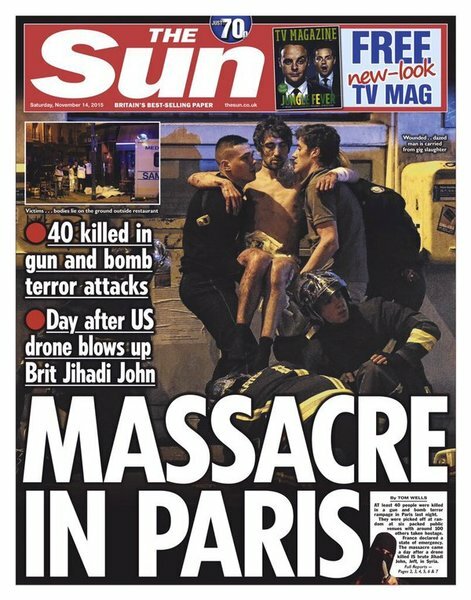 John Kerry, the US secretary of State, said in a conference in Vienna: "It was not just an attack on Paris but an attack on humanity. 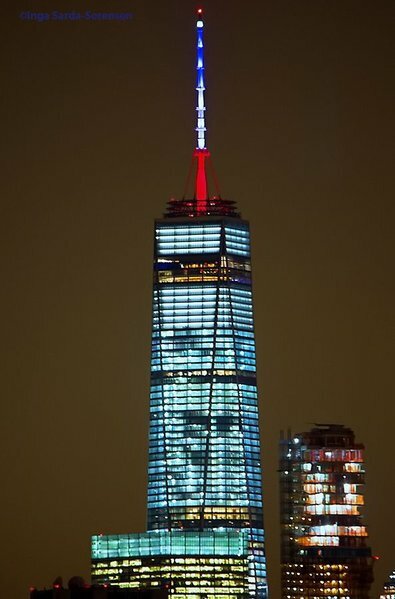 We will give France all the support to track down the monsters that prepared the attacks." "This morning I had a meeting with France's foreign secretary and talked to the US ambassador to France to emphasize Washington's support for Paris," he said. "ISIL can not be defeated without solving the Syrian conflict...that is why we are trying to find a diplomatic solution for it in Vienna." 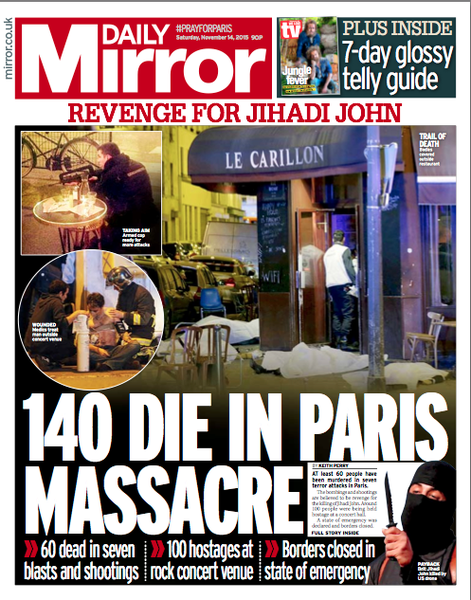 According to French prosecutor Francois Molins, 129 are dead and 352 injured, 99 of them seriously. Seven of the attackers were killed. "At this point we can say clearly that there were three terrorist teams that coordinated," said Molins. The French prosecutor says one Syrian was involved in the attacks, though the suspect was unknown to French security. French prosecutor: Three arrested in Belgium. Also not known to French security. Social media users share thoughts, illustrations and fears after six explosions and gun attacks left at least 129 dead. Analysis: "You canât constantly try to do more with less without something eventually breaking down." 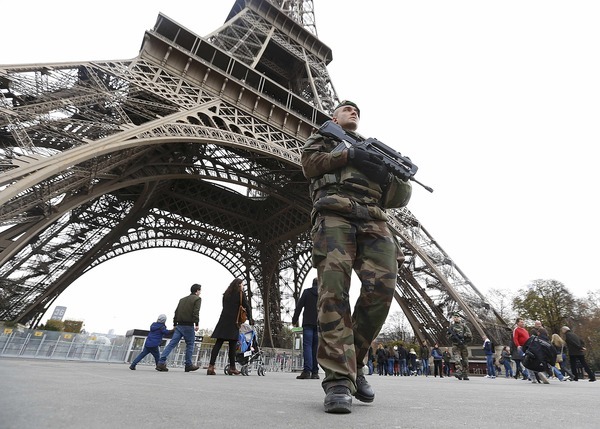 Eiffel Tower area has reportedly been evacuated, though exact reasons remain unclear. One Parisian man remembers the moment a normal evening in his local bar turned into a night he will never forget. Omar Ismail Mostefai, a 29-year-old Paris native, has been identified by French police as one of the attackers involved in a series of assaults across Paris on Friday. The French citizen had been known to police for his alleged links to armed groups but had not been previously linked to violent activities. Police are also holding six of Mostefai's relatives. 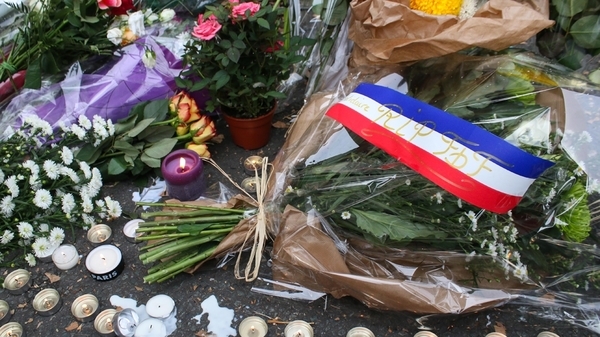 Inside Story: How should France deal with aftermath of Paris attacks?